7-ZIP is simple and fast archive utility that can compress data or files with higher compression ratio to pack / unpack in several archive formats. 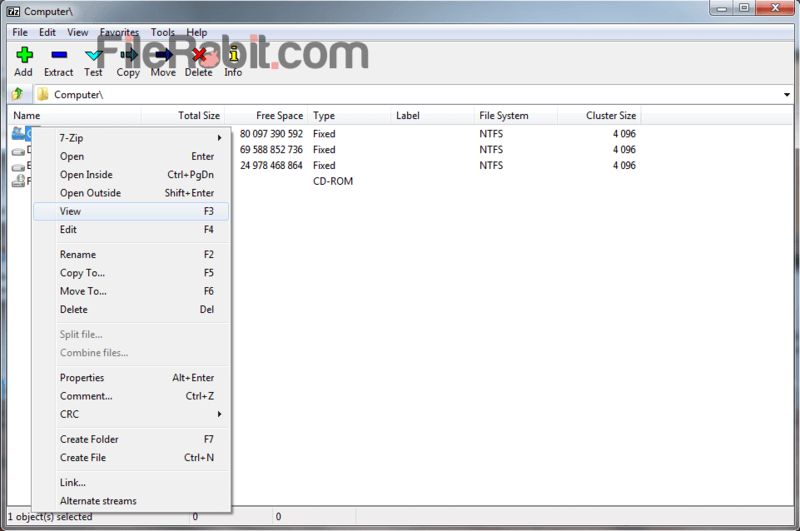 It allows different common file formats to compress or decompress with light, powerful and multi feature utility tool. As WinRAR and WinZIP, it can be used as super file manager that is eligible to operate anything just like Windows Explorer. Please note that 7zFM is separate program that can do several operations including test, delete, open, add, copy, move and info as well. Basically, its rich technology based archive where you can compress data upto ultra compression level. Ultra compression level is higher level of compression which can reduce data size upto 10%. Security protection allows you to create a unique password for personal data and information. Moreover, adding multiple files and folders is great way to save hard drive space. Moving compressed files into USB flash drives, SD cards, upload to cloud service or send data through email, everything can be possible with power and latest technology of seven zip. 7-ZIP is small size, rich feature and powerful archive that can compress and decompress target files or folders. It covers almost each device such as Linux, MAC OS X, Windows and more to offer its accessibility to every computer operator. Unless other compression software are shareware and offering limited content for limited period. It is completely free, less CPU, RAM and battery usage taker comparing to its competitors. However, it meets head to head with new generation compression file formats including TAR, GZIP, WIM, 7-ZIP and ZIP. Integration into right click menu with full utilities will save user time to put necessary files or folders into archive. The responsive and simple layout of file manager will do its job with implementing user orders. However, after come to listen that many of users do not know about using of 7 ZIP archive. We decided to mention both compress and extract methods here below. 3: A new windows will be opened, Now open multiple files or select single folder which is gonna be compress. 4: Click Add button from Menu bar, A pop up window will appear, Select ZIP from archive format and click OK.
5: The compressed file can be located at same original file location in ZIP format. 1: Navigate to target file that you want to extract with 7-ZIP. 3: A progress window is now appearing on screen that shows time, percent etc. If you want higher compression level then select “Ultra” in compression level.